Chronic pain is well…chronic. Chronic and I are not friends, but we have become neighbors. The last three years have been very rough for me physically. 5 surgeries, fibromyalgia, several autoimmune diseases and other ailments have drastically changed the way I have live. A few of these truths resonate so much for me that I believe they are something we all should do and know, sick or not. These lessons are something that God is pressing on my heart to pursue regardless of my circumstances. 1. Vulnerability is a strength! 2. Knowing our true worth allows love in and out of our lives. 3. Constant Communication is vital, with God and others. During this time of pain and struggle it has been hard to read my bible. There are some days I read and don’t remember much of what I read or it is just too hard to focus. Between the pain or the pain medication study of anything is difficult. God keeps reminding me that He and I communicate in lots of different ways, not just from me reading. 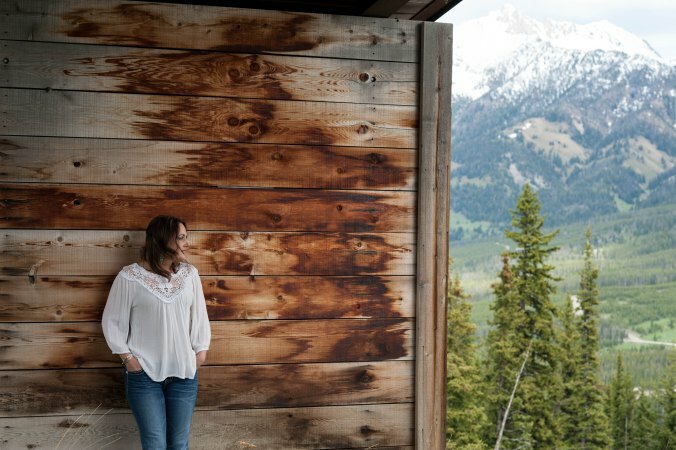 He is talking to me in the alpenglow on the mountains, the warm summer breeze that hits my face or the grins on my kids faces. There are many days that I would just pray, just me talking to God, me trying to listen to Him. There are times when the pain is at it’s worse and I all can do is whisper His name. He shows up in all the ways that I connect with Him, he just desires we communicate constantly no matter the form. It has been precious to receive and understand my Creator this way. I also no matter how hard it is need to constantly update my friends and stay connected. Some times it is a long phone call or an email and other days it is a simple text saying, Pray…its a hard day. To speak gratitude is courteous and pleasant, to enact gratitude is generous and noble, but to live gratitude is to touch Heaven. ~Johannes A. Gaertner. Gratitude is a BIG deal! For the last several years I have exchanged gratitudes with 2 women ever single day. We text each other 5 things we are grateful for every evening. Some days it is hard to muster up 5 things, some days one thing becomes my five. Sometimes I have ten. No matter what mood I am in or what my circumstances are that day I reflect on what I am grateful for, for what I do have, what I am blessed with. It has literally changed the way I live and my attitude. God continues to bless my socks off all the time regardless of physical pain, living in a constant state of gratitude helps me stay focused on the bigger picture in life. I teach this small act to all the women in my classes. It is always one of their favorite parts about the class. It combines all 4 of my truths as they share gratitudes and pray for each other. A dripping tap soon fills a bucket full until it is overflowing! The same is true of anything in life, and developing appreciation and gratitude is no different. I hope these simple but valuable truths help you on your journey to be the best you, thanks for allowing me to share. “Intentional Parenting” is a term I began using with friends and family as I discussed my goal of being a good mama. I am sure experts have used it before and I am not the first to write about it. To me it sums up what I want to achieve in my parenting. I don’t want to be a Mom who just makes it or is satisfied with surviving another day. I want to be intentional with my kids in how I love, parent, discipline, instruct, laugh, play and just do life. I want to be intentional in conversation, motive and heart and believe this is the way God designed me to parent. 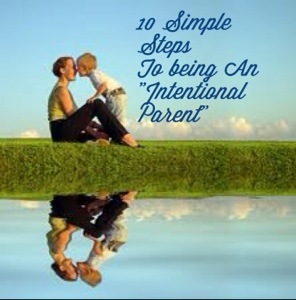 Here are 10 things that I work on to be an “Intentional Parent.” Want to join me in pursuing intentionality in parenting? Come on and let’s journey together. 1. Talk in a soft voice to our kiddos. – I find they listen less when I yell. 2. Stop to tell stories, teach and answer questions in the moment. – Things can wait. 3. Play, laugh and play more. – Things can wait. 4. Pray with your kids. – Not just at bed or meals, as needed. 5. Pray for your kids – No matter how young or old and about the big and little stuff. 6. Teach them about how your family is a Team. – What can they do to help the team daily. 7. Have an amazing marriage. – Love and grow with your spouse constantly, give them an example. 8. Make and allow messes. – Who’s up for making cookies and fingerpainting? 9. Listen more intently. – It might seem trivial to us but to them it’s their world. 10. Have an amazing relationship with God. – Love and grow with your savior constantly, give them an example. I am just a mom in the midst of it all right along with you striving to do my job as Mom to the fullest to my kiddos ages 8-18. I love sharing an engaging with other women doing the same. This list could have been 100 things but these are some of my current favorites. 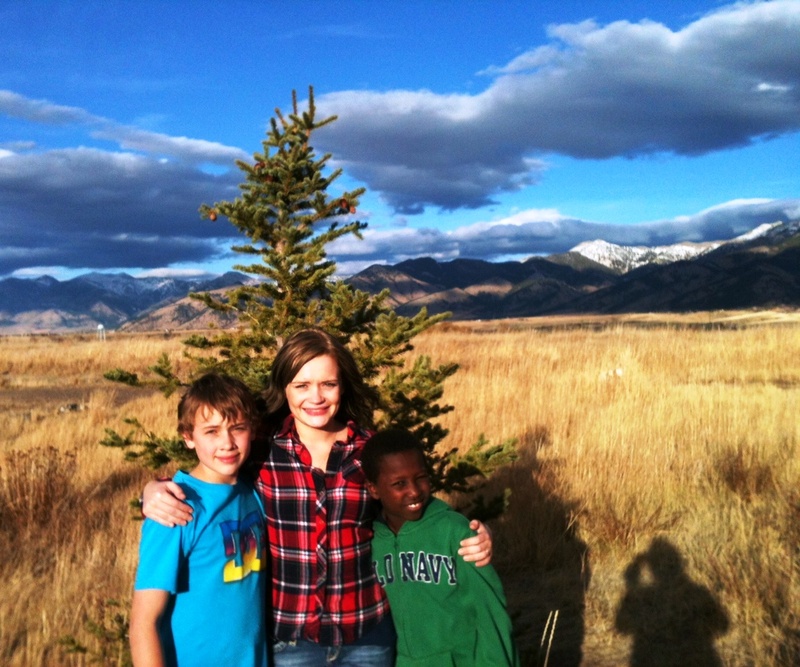 Annie, my journey to being an adoptive mother. Growing up my favorite movie was “Annie”. The story of the feisty little red haired orphan captured my heart from the very first time I saw her. The story never got old and I would opt to watch that movie time and time again versus seeing something new. I can remember the feeling of satisfaction I had in my heart every time as I walked out of the video store clutching that worn out VHS case to my little chest. 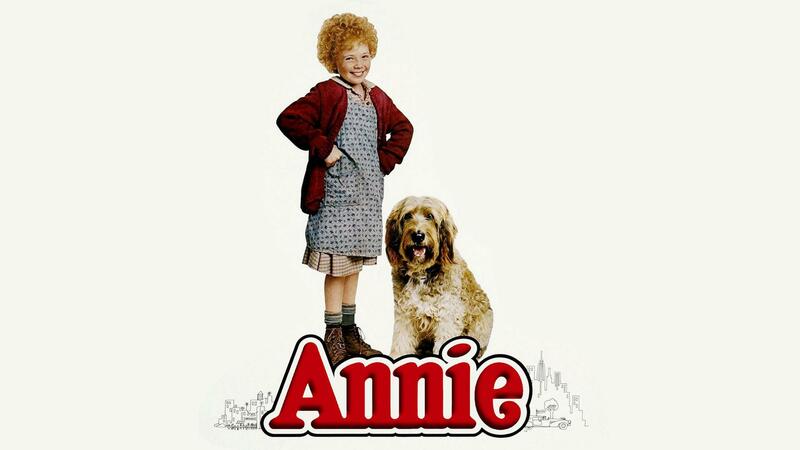 In the movie Annie is a spitfire of little girl stuck in an orphanage with what seems like a hopeless situation. Annie has many hurdles to overcome as an orphan, her age, the tyrannical Miss Hannigan who runs the orphanage and even her red hair. Annie’s situation dramatically changes when she is chosen to spend a short time at the home of wealthy industrialist, Oliver Warbucks. She quickly softens his heart and they begin to build a connection that seems unlikely but beautiful. Annie then has to return to the orphange and Warbucks then realizes through many dramatic events that he loves this little girl and he is going to be her family. To summarize, he realizes he can’t live withouther and he adopts her, becomes her father and this fulfills all Annie’s dreams of being a part of a family. Recently I realized the huge parallel’s between my love of this movie as a child and the way the story unveiled itself in my adult life and the unfolding of my ever growing family. I can see how God laid in me the desire and love for adoption at such a young age. My story began way sooner than the actual summer of 2011 when we hosted little Wendem. We are no “daddy Warbucks” finanacially but we too went through a very similar process in expanding our hearts and family. Wendem was with us for a short time when we hosted him for a month in the summer of 2011. It didn’t take us long to realize after having him in our home that he was supposed to be a permanent part of our family. (We kind of knew even before that;) So just like in the movie that short visit changed our lives and the trajectory of our family forever. Today is the 6 month anniversary of Wendem coming home for good. I can’t even fathom life without him. He was always in our plans even when we didn’t know it…God did though. In some moments it all feels brand new and other times it feels as though we were always a family of 5. I am so thankful for the last six months and the many days we have had to grow, learn, bond and love as a family. In the wise words of Miss Annie “The sun’ll come out Tomorrow, so you gotta hang on till tomorrow. Come what may. Tomorrow, Tomorrow, I love ya, Tomorrow. You’re only a day away.” I am so thankful that all of Wendem’s tomorrows get to happen right here with us… his family. One of my favorite memories growing up is strawberry picking with my mom and brother. The three of us would spend countless hours harvesting those succulent little red candies of nature. Okay, maybe they spent countless hours actually harvesting while I spent hours frolicking around the strawberry patch and antagonizing my big brother. I would steal strawberries out of my brothers bucket as to say, “pay attention to me.” I mean if I annoyed him enough he would have to engage with me right? I would take strawberries and make a sticky red paint in my dirty little hands and then proceed to “draw” on my brothers bare back. There wasn’t much of a canvas as my brother was a little dude, even being seven years older than me I never remember thinking he was big or scary. My brother maybe weighed 98 pounds with a backpack of wet beach towels on his back…his was little. So I would “draw” and “write” on his petite little canvas in strawberry ink until he was so annoyed he had to call Mom. He normally waited for quite awhile before calling in the backup though, he obliged me for longer than he should have. I always remember that about my brother, he was pretty patient with me as the pesky little sister. Mom would gently distract me away and then I was off on another adventure among the red and green fields. Oh summer, it contained so many possibilities of fun. There is nothing like the feel of the sun beating down on my freckled little face as strawberry juice drips out of the corners of my mouth and landed on my Rainbow Bright T-shirt. I remember those days and how I didn’t have a care in the world and how each new day seemed like it could be the best day of summer break yet. We always ended up with quite a harvest at the end of the day, not any thanks to me though as my method was a little like this; “one for my bucket, two for me, one for my bucket, three for me.” I took great pride in our “team effort” and bounty though. I loved sitting in the back of the car surrounded by the buckets of berries and the smell of summer. My little hazel eyes would twinkle all the way home as I knew what mama would do with these berries. Jams and jellies and strawberry waffles with whipped cream piled high, yahoo! Did you know you can and should get whip cream refills if you have a bite of waffle that doesn’t have any? Yep, my mama told me…and showed me. Every bite should contain a dollop of whip cream, a bite of of waffle and a few fresh strawberry slices. I think back to my strawberry picking days and an endless grin comes upon my face. Picking days were days spent with two of my favorite people in the world. Picking days had a purpose, we were working on a common goal of getting as many strawberries as we could. Picking days served another purpose as well, the purpose of togetherness and what I think most important…time. We were cultivating more than strawberries those days, we were cultivating family and memories. I look at my three children ranging in age from 8 to 18 and strive to set them up with their own “picking” day memories. I want to nurture times of carefree fun and togetherness amongst the crazy busyness of our lives. I want to make time and space for play, teamwork and family time. I want to foster a cultural in my home where we allow for fun and grace filled sibling interactions even if we are working on a common goal, like cleaning the house. I know it is easy in our list driven, check off this, do that, kind of society to overlook the power of play and fun. It is easier to be more task driven than carefree. I want to strive for a balance in my home where maybe one doesn’t out weigh the other time wise, but heart wise. 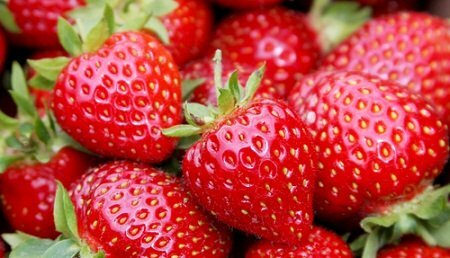 I want my kids’ memories of our home and family to be more of “strawberry picking” and less of homework or chore nights. When they are contemplating memories as they get older I hope our “picking days” are what permeate in their memories. Now I am sure we had plenty of chore days and evenings full of homework at my house growing up but those are not the memories that I recall most often. I day dream about fields of red, fishing in Eastern Oregon and backyard croquet games. I first don’t think of vacuuming the stairs or unloading the dishwasher…although I had to do those things. I remember the memories and most importantly how they made me feel. I felt a part of something, felt loved and felt joyful. I am labeling it intentional parenting. The big and little things that we do to love on our kids and teach them in the midst of our crazy lives. Sometimes for my adopted son I call it therapeutic parenting as it takes on different level of healing and encouragement. My kids are far from perfect and I am far from a perfect mother….but my job as “Mom” is one of my favorites. I do serve a perfect God though and I love how He guides me through it all. I believe our job is to encourage and teach our kids daily, in the little stuff. I believe passionately that we are supposed to share truth with them, God’s truth and that is it simply put. Will my kids in turn always pick up that truth and act on it? Of course not, just ask my 18 year old 😉 But I am still called to share it with them and then I get to step back and let God and them handle the rest as they grow up and start to make the choices for themselves. It looks different every day. It does NOT look like long, boring, family devotionals. Sometimes it is a conversation of instruction and other times I just listen. It might be a note or text. It might be a movie choice. It might be a tone I have, regardless of theirs. It might be a conversation after church. It might be a lot of open ended questions. It IS lots of prayer for them, about all of it! Today it is Valentines Day. Here is how I am being intentional with my three children. We included small gift cards to itunes in the older kids cards. I am going to encourage them to buy at least 1 worship song they really like right now and an audio book. I really want to pass on my love of books and stories on to them. I hope I can encourage you to join me on my quest to be an intentional mama. It’s beautiful and messy, but full of grace. The grace that God extends me as I fail often, the grace I extend to my kids when they choose things other than truth and the grace I extend to myself when I choose differently. As we approach Valentine’s Day tomorrow I reflect on those without the love of a family. I will celebrate tomorrow and cherish the love I have for my hubby and 3 kiddos. 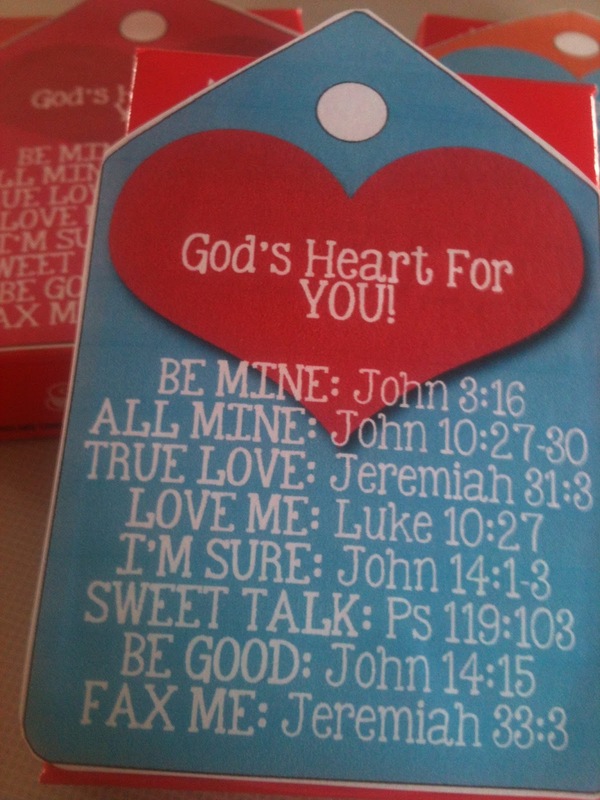 I will use the day to talk of love, the love God has for us and the love we have for each other. I will be ever thankful tomorrow and every day, but I also will remember, pray and act on behalf of those who do not have what we do. 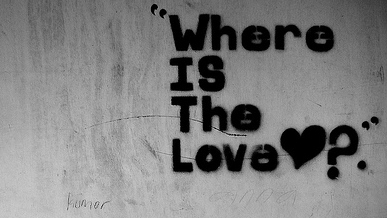 Will you join us in asking “Where is the Love” and what I am supposed to do about it? Tomorrow will be chalked full of warm fuzzies but today I challenge us to look at the cold hard facts. According to data released in 2003 as many as eight million boys and girls around the world live in institutional care. Some studies have found that violence in residential institutions is six times higher than violence in foster care, and that children in group care are almost four times more likely to experience sexual abuse than children in family based care. Oh 2012 how great,beautiful, amazing and hard were you?!!!! Reflecting on this last year we have so much to be grateful for. So many things to bring smiles to our faces. We are finally getting into a great groove of being a family of 5! Wendem has been making HUGE strides in so many areas! Growing in trust of us which completely transforms our house, growing in confidence which totally helps him in school and socially and of course his English is improving amazingly which helps everything. Communication makes things so much easier! He is really picking it up, people are amazed to know he has only been home 4 months. I feel like he is finally coming into himself. The Wendem we are getting to experience now is giggly, enthusiastic, grateful and just plain silly….yep he is a Herzog alright! He recently conquered one of his biggest fears….the school bus. When he first arrived he was down right adamant that he would never ride one of those, even if brother did he was just too darn scared. Well one day a few weeks before Christmas break he came home from school and declared he was ready. I about fell over but I jumped on his energy and called the bus folks. They don’t allow parents to ride the bus for lots of reasons but I did convince them to let Chase ride with him for the first day. Sure enough Chase rode with him, showed him the bus transfer protocol and he was off. (He rides a bus, gets to the hs here and switches buses both ways.) Now he is an old pro and riding the bus to school and has even rode it home. Yahoo!!! *He wanted to play with a friend from school the other day but I told him I didn’t have his friends phone number or address. He said “Mom just ask the lady in your phone to give you directions like before when went to Yibis house, she tell you how to get to Ryans.” I just cracked up! I tried to explain to him that we had to have a address before the nice lady could give us directions, thanks MapQuest! *We were at the mall as a family visiting Tay at work and he saw the photo of Santa and wondered why in the world Santa would come here. I asked him if Santa ever came to Ethiopia, “nope, his legs would get too tired to walk there.” LOL! *I was folding laundry the other day in the dining room where he came and promptly turned the light off in the room. I said I need that light on, he then asked me, “Do you have money for that light mom?” I think he is listening when we tell the kids to turn the lights off in a room eh! The list of these are forever long but these are a few of my current favorites. I love the way he says “little and really” in his cute Amharic accent. Here are some other fun things to reflect on that we are grateful for this past year! God brought our son home after a long 13 months of waiting and fundraising!! We pushed through some hard adjustment times but we hung in there and now things are better than ever. Not to say we won’t ever have rough times again but we have finally got into a smooth groove as a family of 5. Taylor Dawn graduated high school and started college which she is loving. We can’t believe she is 18 now!!!! She is smart, beautiful, funny and fun to watch grow into the woman God created her to be. All I can say is watch out world! She has been working at the mall for a year or so now working at Orange Julius and Chattys. She loves the barista part of working so just recently took a job at up and coming CoffeeHouse here in downtown Bozeman that she will start in a few weeks. She will graduate from the Esthics school in April and plans to work in her field along with the coffee house and then is looking into going to MSU this fall. Chase is loving 7th grade and realizing his true passions and talents. I can’t believe he just turned 13, really two teenagers in this house! This year he laid down his 9 year soccer career for focusing on music. He loves playing guitar, singing and making music on the computer. He and his best friend Karen tried out for the talent show this year. With over 60 plus acts and only 20 chosen they got in and will be performing at the Emerson in the show later in the month. I can’t wait! 2012 brought a lot of work, pain, joy and peace as does each year. This year though we are especially thankful for God’s provision in our lives. His hand was all over our adoption of little Wendem and you never had to doubt if it was His plan, it was and He provided for us ever step of the way. We are so grateful for all of you who journeyed with us and continue to do so! 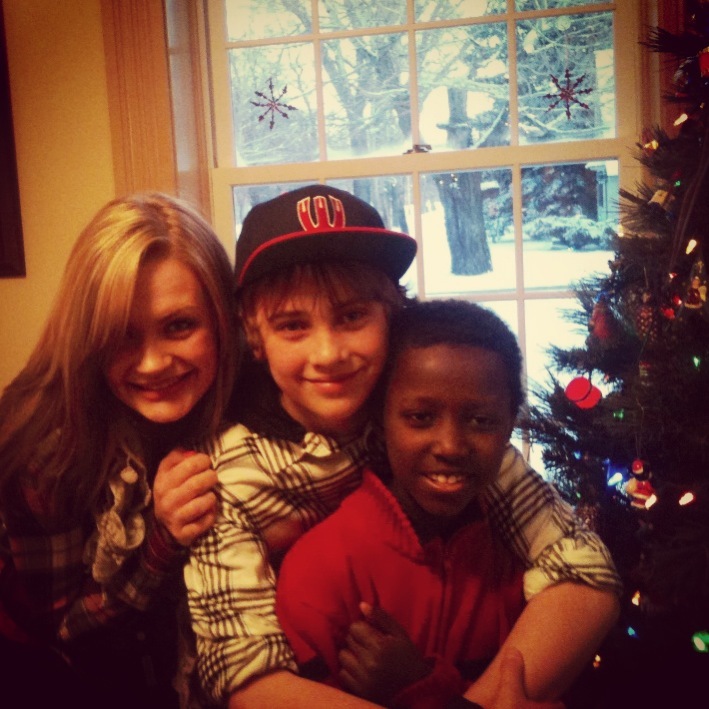 Praying 2013 is an amazing year for us all. God Bless! We did it! We made it! Wendem is home for good! Our little man has been home for 7 weeks and it feels like 7 days and 7 years all at the same time. You who have adopted or remember what bringing your baby home from the hospital is like in those first few months know exactly what I am talking about 🙂 It all happens so fast but then you can barely remember life without them! Driving home on September 9th from the airport was so emotional for me. It was exactly 13 months earlier that I had put this dear sweet boy on a plane back to Africa…and now I was driving him home…home to our house…FOREVER! It almost felt like it was the first time I had taken a deep breath in 13 months. I could now officially breathe…this part of our journey was over. Every single day of those 13 months I was acutely aware of what we needed to do or had to be done and that something was missing. There was always something to do, something to work for, something to strive for, something to pray for, money to raise, something to anticipate. Now I could finally breathe, I honestly felt like I left a huge weight sitting in the airport parking lot. I exchanged it for this cute bubbly brown eyed boy whom I couldn’t and still can’t stop hugging. Some days have been easy and full of smiles, others are filled with frustration and tears. Trying to navigate all the newness and not speaking the same language is quite the challenge. The days our son is upset or grieving I want so badly to be able to explain to him and console him through my words. Instead I just hold him through the tears or anger he has and keep telling him how much we love him and that he gets to stay here forever. We tell him over and over again that he is our son, that we love him and that he now is part of a family, our family and nothing will ever change that. I will say that as each week goes by we are seeing major progress. It is amazing how his English is coming along and how much better we all are communicating. The last 7 weeks have been beautiful, messy, amazing and hard…but I wouldn’t have it any other way. Life in our house looks very different as does any home where a new family member is added. We are daily learning our new “normal”. He definitly has a sense of humor and loves to play which fits perfectly into our lives. His little smile and smirk can light up the room or make me smile in an instant. Chase and Wendem are often found wrestling or playing football in the yard. Chase is a super big brother, it actually brings me to tears often ! I love watching the boys together! Taylor is so busy with college and work but always finds some time to give to us and we take it and count it precious when we get all three of them together for some good family time! I look forward to blogging more on our “new normal” and helping other prospective or adopting families see a little window into what all happens after your kiddos arrive home for good. God is teaching us all so much and we look forward to sharing that! Blessings to you and yours! Submitted to Embassy on August 7th! In our adoption journey we have a few exciting updates. We were submitted to the US Embassy on August 7th. We then heard shortly after that they were going to request a birth parent interview. This is very common if the child has a living parent. W does so his mother will appear at the US embassy office on August 23rd. Even though the adoption is final in the eyes of both countries our US Embassy does this as a final step to avoid any chance of error. His birth mother will be asked the question, “Do you know what adoption is and that this is final?” She has already answered this in Ethiopian court but again will have to do it for our government. Once this meeting is done we will hear from the US Embassy and they will ask us when we can travel to go and pick him up in the next week or so!!!!! So is reality we could legally pick him up this Friday! WOW! I can’t believe we are finally at this stage of our journey. As wonderful as that news is we are still busy raising the funds to be able to fund our last leg of this trip. We need enough funds to purchase tickets round trip there, a one way ticket for W home, travel and stay expenses there and his visa to leave the country. We are about 3,000 short of our goal to do that. We are busy selling things, saving, slashing our budget, fundraising, having parties and doing anything we can to get the last of our needs met. I know God knows that W is ready to come home and that we need to go soon. I know He will provide a way for it to happen soon. As crazy as it feels to be able to go and get him but not have the means we are peaceful and trusting. Our God is big and amazing and has done plenty of miracles for us along the way and can’t see him stopping now! We do ask though that you join us in prayer that God supplies our needs of travel expenses. Pray for our hearts in the time that we have to wait. Pray for our boy as he is ready to come home. 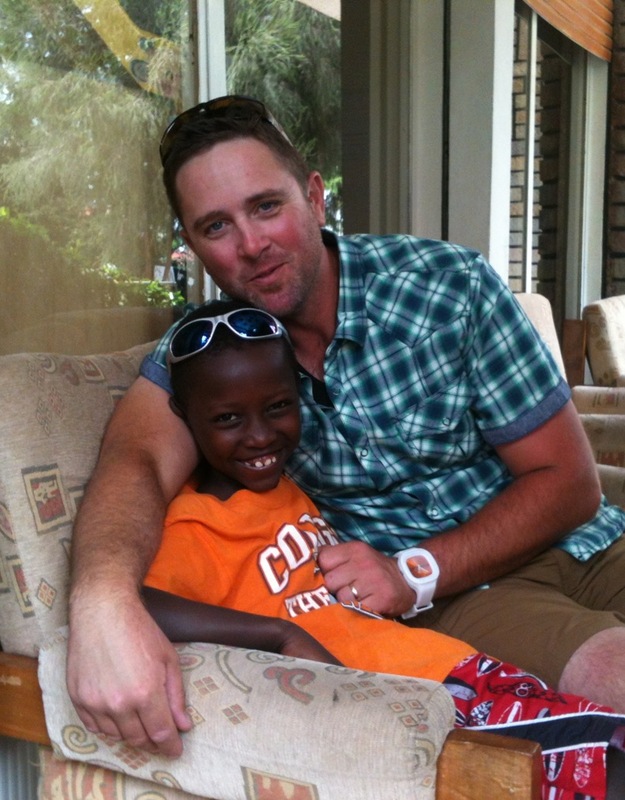 We recently had friends visiting Ethiopia and he asked them when we were coming….they told him soon and that we loved him….and boy do we ever LOVE that boy. I can’t wait to hug him and go pick out school supplies, I can’t wait to read him bed time stories and see him laughing with his brother and sister. I can’t wait until he realizes he gets to stay FOREVER!!!!! Thank you all for following our journey and for your tremendous support.